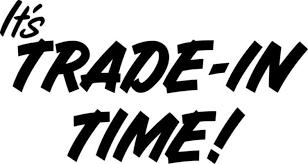 15% OFF TRADE-IN SALE EXTENDED! We have extended our famous trade-in 15% off sale until Sunday, April 28th! FROM 11:00 AM – 6:00 PM! ​​​Bring in Any of the Following Items ~ Even if it’s not working, or you don’t want it anymore. . .
AND PURCHASE ANYTHING IN OUR STORE AT 15% OFF! There is No Limit on the Trade-ins You Bring! It’s VapeZone’s 15% Off Trade-In Time!! Even if it’s not working, or you don’t want it anymore! HUGE MONEY SAVING SALE!! 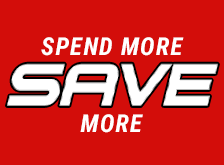 The More You Spend, the More You Save!! THESE SAVINGS ARE ON EVERYTHING IN OUR STORE ! EVEN INCLUDES ALREADY MARKED DOWN ITEMS!! PENGUIN COILS & VISION SPINNERS! All Vision Spinner colors will be in stock after 3:00 PM today, Friday, 3/15! Penguin .25 ohm Coils will be available no later than Tuesday, 3/19!! !